Does My Horse Need a Joint Supplement? Some of you may already be asking yourself the question, “Should I be feeding my horse a joint supplement?” Maybe you’re noticing that your once energetic horse is slowing down and seems to be stiff and not as nimble. Perhaps your award-winning steed is now taking longer to recover after a competition or a long ride. 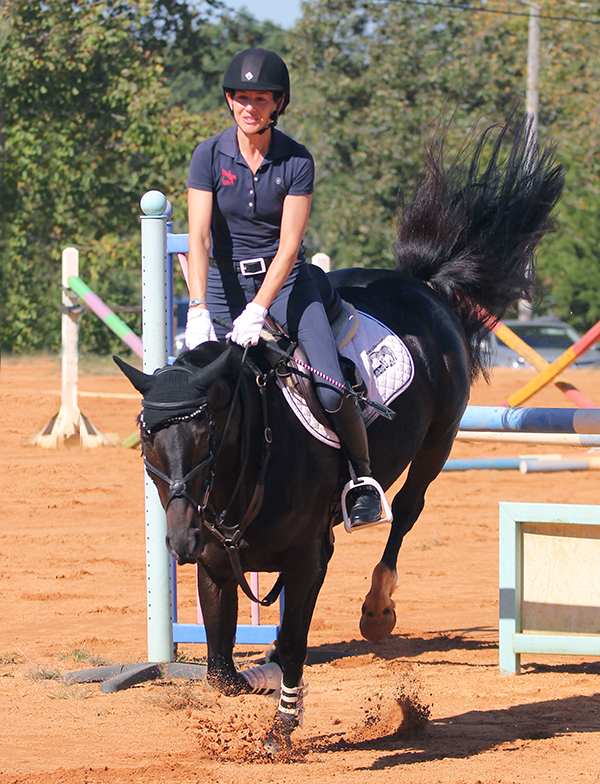 Maybe your horse is young and thriving and you want to prolong its life and career. We all want to see our horses live a long, healthy, and enjoyable life, but can a joint supplement really make a difference? 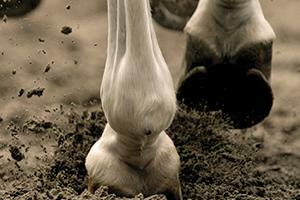 Would your horse benefit from receiving a joint supplement? Before we go on any further, we first need to establish what is a joint problem. To make the joint work, it takes the collaboration of tendons, cartilage, bone, soft tissue, and fluid. Any number of these working parts can develop problems and create discomfort in the joint. Some of you may not consider a joint problem an issue until it’s just that – an issue, but a joint problem begins at the first signs of discomfort in the joint. If you ignore the first signs of a problem, it will likely bring more discomfort and develop more issues for you and your horse. If you pay close attention, you can catch the signs of joint discomfort before it develops into something worse or creates irreversible damage. So, how do we know a problem is there? As the horse owner, you will spend more time with your horse than anyone. You are familiar with your horse’s personality, habits, the way it walks, and so on. 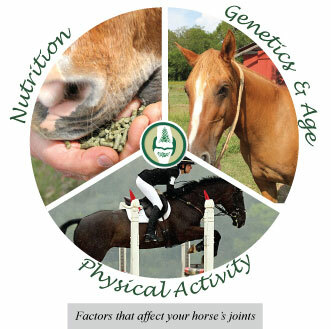 You are the first person in a line of checks and balances concerning the health and well being of your horse. Watch the way your horse walks and runs. Keep an eye out for any changes to it’s gate or any initial signs of discomfort. These signs of discomfort can especially be seen when you pick up the foot to clean and pick the hoof. Also discuss your horse’s health with your farrier. If you’re regularly maintaining your horse’s hooves, your farrier will be working with your horse’s feet and legs on a regular basis. 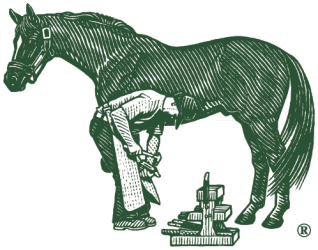 Your farrier will see the signs of discomfort in the joints as they watch your horse walk or pick up the foot to work on the hoof. Your veterinarian can also assist you in determining if there is an actual problem. It is also important to note that it is much easier to prevent a joint issue than to try and fix one. Prevention is all about protecting the joint before a problem can develop and extending the life and durability of your horse’s joints. Prevention is especially important for horse owners that are regularly using their horse for competition or for work. Competing with your horse in the form of racing, jumping, dressage, three-day eventing, reining, roping, barrel racing, or other athletic competitions and training will regularly apply stress to the joints of your horse. These horses are at the highest risk of developing joint issues or suffering from a joint injury. Just think of a human athlete. How many NBA, MLB, or NFL stars have we seen fall early in their careers due to an injury involving a joint? Today, these stars are taking precautions to extend the life of their careers. Eating healthier, stretching, taking supplements and staying in shape. It is an investment for them to prolong the life of their careers. We can do the same thing for our athletic horse and extend the life of their athletic careers through their diets, training, and supplementation. Feeding a joint supplement like Farrier’s Formula® Double Strength Plus Joint will provide the nutrients important for the health of the joints and will make the joints more flexible and less prone to injury. These nutrients will also help your horse recover more quickly after a competition and compete at its peak performance. By feeding a joint supplement early you’re not only preventing future problems but investing in the longevity of your horse. Supplementing will also help relieve discomfort and pain for a horse that has already developed joint issues. If you have an athletic horse that developed an injury during competition or training, the nutrients in a joint supplement will help rebuild and strengthen the connective tissue within the joint. Feeding the supplement will also provide relief to the problem areas, allowing your horse to regain movement that was once too painful to make. This is especially important for the older horse who may be arthritic or have problems due to the build up of past injuries. This will prolong the longevity of your horse, strengthen the joints, and help prevent issues from worsening. You may not be jumping hurdles or taking your horse on week long rides, but it doesn’t mean problems can’t occur. Feeding a joint supplement is never a bad idea, especially if you are seeking to extend your horse’s ability to work and compete or wish to address issues developed from injury or age. If you are looking for a joint supplement, we recommend Farrier’s Formula Double Strength Plus Joint. Farrier’s Formula® Double Strength Plus Joint strengthens the connective tissues of the joints, tendons and ligaments and contains nutrients to promote lubrication of the joints. The inclusion of proline, ornithine, glucosamine and manganese provide targeted joint support. This product contains the sulfur needed for joint health in the form of the amino acids methionine and cysteine. Farrier’s Formula® Double Strength Plus Joint also provides nutrients important for hoof growth and joint health without the concern of over supplementation that could occur from feeding a separate hoof and joint supplement. If you have any questions on Farrier’s Formula® Double Strength Plus Joint, proper supplementation, or on joint health please call us at 1-800-624-1873.